Experts agree: Concremote is a pathbreaking M2M innovation for the construction sector. 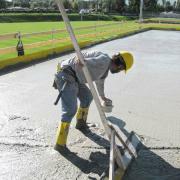 Concremote determines fresh concrete-strength development on the structural element. The result are accelerated construction processes and increased safety. Recently this innovative measuring method received its second award in the United Arab Emirates. Subsequently it was nominated for the "State Prize for Multimedia and e-Business 2015" in Austria. A key parameter affecting the construction workflow is the development of compressive strength and hydration heat of concrete during construction. Stripping and curing times and the time for pre-stressing are all calculated based on concrete-strength development, for instance. Heat development measurements are important for monitoring stresses in the component that develop as a result of temperature variances. It helps avoid cracks and future structural damage. 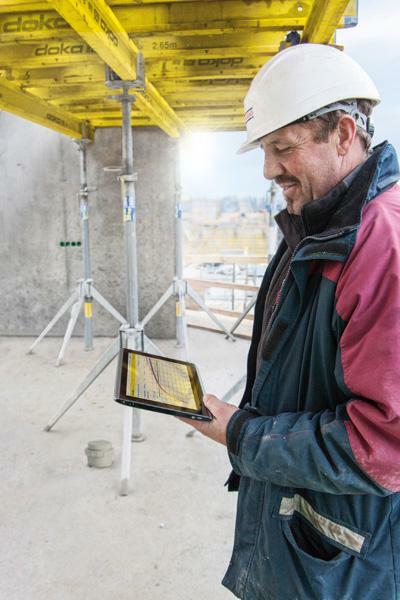 Based on measured concrete-strength values, Doka Concremote concrete monitoring enables users to determine the steps to be taken and thus ensure and optimise the construction process. Concremote garnered the attention of international experts not only in the construction sector. It has been awarded two prizes in the Middle East thus far. As part of the local construction sector summit in Muscat (Oman) held in autumn 2014, Doka was honoured with the special prize for "Best Innovative Formwork Systems". The "AHK Innovation Award", a prize awarded by the German-Emirati Chamber of Industry and Commerce (AHK) in Dubai followed in February 2015. Back home, Doka Concremote is among the finalists for the "Austrian State Prize for Multimedia and e-Business 2015". The trend towards industrialisation of building processes has been evident for some years. The sector cannot be imagined any longer without information technology. Measurements frequently still obtained by testing labs, manually and at great labour costs, can soon be automated and simplified. Concremote makes an active contribution in this regard. Usually construction companies determine concrete strength by means of general target values and/or complicated testing methods. 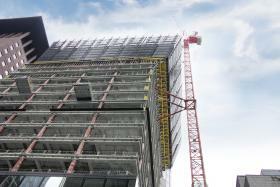 The innovative Doka Concremote takes it a step further. It combines the established weighted maturity method with modern measuring and information technology. By incorporating sensor placement into the casting process, Concremote measures concrete strength by way of heat development. There is no need for a person to be present on the site for reading and securing the measured data. 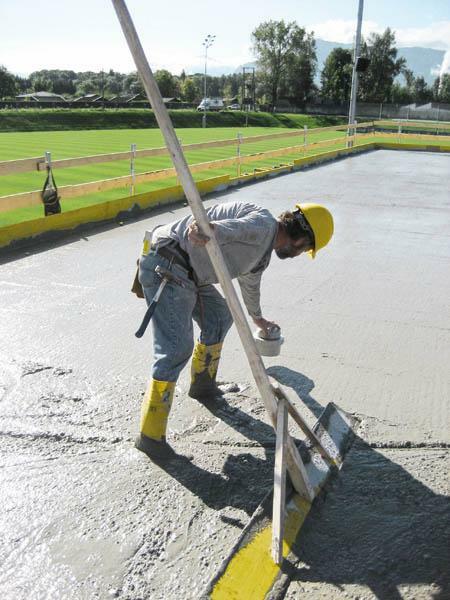 Sensors measure temperature development of the fresh concrete at regular intervals and transmit these data to the Concremote computing centre. Here, the weighted maturity method is used as the basis for calculating and providing reliable information on the strength development of the concrete in real time. Concremote uses two types of sensors: slab sensors, which are inserted in the fresh concrete after it has been screeded and cable sensors that are incorporated directly into the form-ply of the wall formwork and repositioned together with the formwork. Wireless transmission of the non-destructively measured values starts automatically. The system's long-life batteries, sturdy sensors and wireless data transmission make it highly user-friendly. Measuring results can be accessed at any time on a secure web portal. Also, users can be alerted by e-mail or text-message as soon as the specified early strength has been reached. Concremote offers wide-ranging possibilities for optimising the construction process: if a customer has entered a specific target value for a site, the strength values enable him to make precise recommendations regarding e.g. the earliest times for stripping the formwork, climbing and pre-stressing, and for the end of curing. The real-time measured data can also be taken into consideration for optimising the concrete formulation. Thank you for your interest - Award-winning: Doka Concremote - online measurement of concrete-strength development in real time. Thank you very much for your interest - Award-winning: Doka Concremote - online measurement of concrete-strength development in real time.